The office of deacon is God's gift to His church, but today it is often undervalued, misunderstood, and perceived to be of little importance. 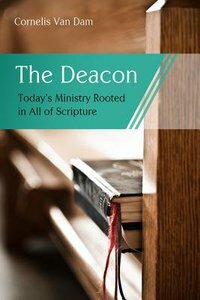 In The Deacon, the author considers the Old Testament background for this calling, the deacon in New Testament times and in church history, and the current function of the office. You will rediscover the high and privileged calling of deacons and come to a better understanding of what God requires of them. About "The Deacon: The Biblical Roots and the Ministry of Mercy Today"